Beautiful Beginnings No-Mistake Curl Softener - For All Curly Hair Types gently loosens curls for manageable hair, formula which provides perfect measuring and easy mixing every time. No overlapping. No over-processing. 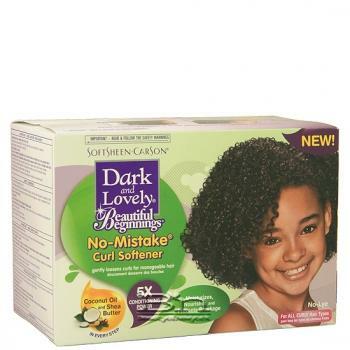 Helps keep your little girls hair strong and healthy.